I hope everyone is having a fun and safe summer so far! Things have been moving right along here at Raspberry Moon. I have been working on lots of different things over the last year to improve your experience with me. If you have not had a chance to experience the new Viktoria De’Ann Peptide line you are missing out! That stuff is amazing and can help your skin look and feel amazing no matter what your skincare type. 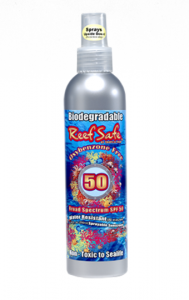 I just received a new shipment of sunscreens called Reef Safe. 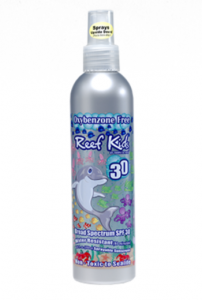 I’m super excited about these new sunscreens and they have an awesome baby line. More information is below and you will see things posted on Facebook and Instagram over the next few weeks. But first, keep reading for some important skincare news and changes. One of the biggest decisions I’ve made to date is to discontinue my Saucy Chica Skincare line. This has been a very hard decision to make and has been on my mind for a long time. 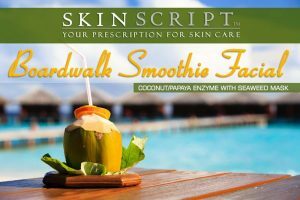 As many of you know, I don’t let things go very easily, but I am very confident that you will find products you love in our new Skin Script Line! Many of you have been experiencing their products in your facial treatments over the last year. I attended their training in April to get a closer look at the company after using and liking their products. I was super impressed with the class and it just sealed the deal for me. I know we all resist change, myself included, but I really think this will help more people have healthy, happy skin at a price that will leave us all feeling good! There are products for my vegan people, and my soy-, nut-, and gluten-sensitive people will all have great options as well. And everyone will love how affordable this line is! The most expensive product (which of course has been my favorite moisturizer so far) is the Peptide Moisturizer at $50; most products range from $15 to $30ish. The packaging is lovely! All the serums and moisturizers are in easy to dispense pumps and most have an area where you can actually see how much product is left! No matter what your skin challenges are, I have products that will work for you. If you have a Saucy Chica product you love, ask me which Skin Script product will be your new love! 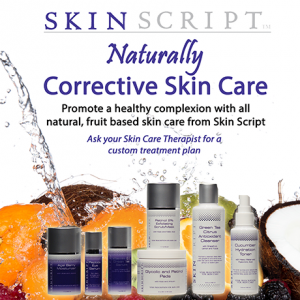 And if you’ve never tried our in-house skincare, now’s the time to find a favorite Skin Script treatment! Seaweed Mask with Chamomile: Seaweed is full of lipids, proteins, minerals, and vitamins which easily absorb to moisturize and nourish the skin. The benefits of seaweed to the skin include re-balancing, nourishing, hydrating, cell regeneration, detoxifying, purifying, oxygenating, and re-mineralizing. Chamomile is an anti-inflammatory to calm and sooth erythema (redness) and sensitive skin. Essential Fatty Acids or EFA’s are polyunsaturated fatty acids that we ingest because the body needs them for good health. Unfortunately, the body can’t synthesize them. 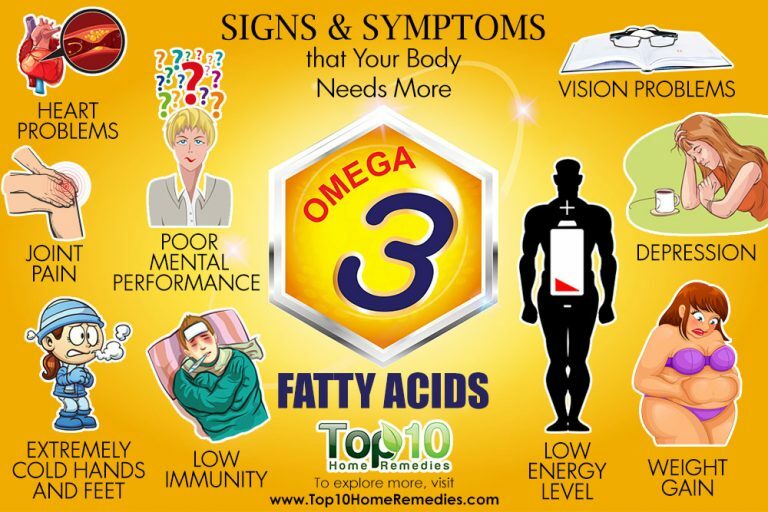 There are 2 fatty acids essential to us humans – alpha-linolenic acid (an Omega-3 Acid) and linoleic acid (an Omega-6 Acid). Our cell membranes are made up of EFA’s. They communicate with other cells; they transfer nutrients in and out of cells and they protect cell organelles. So why do we need EFA’s and how do we get them? Omega 6s are found in Meats and modern Vegetable Oils. 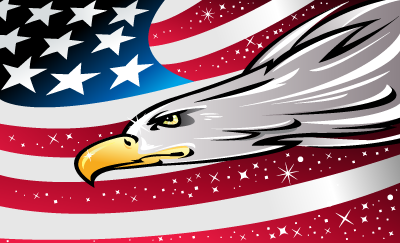 Sadly the American diet mostly consists of Omega-6s, at an almost 15:1 ratio! Healthy intake is 4:1 – Omega 6 to Omega 3, of course more Omega 3s is better. 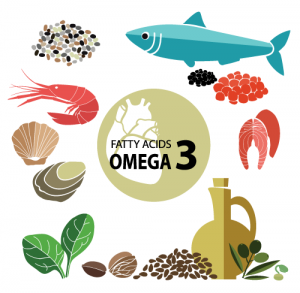 Studies show that omega 3s help prevent heart disease and stroke, may help control lupus, eczema, and rheumatoid arthritis, and may protect against cancer. How do you know if you are low in EFA’s? How do I increase my EFA’s internally? How to increase EFA’s topically? Omega 3s will help the skin retain more water and will help our skin’s acid mantle stay strong. Be sure to use skincare that has EFA’s from linoleic acid, linseed oil, choline, cermaides, phosphatidylcholine. Microcurrent and LED treatments also help enhance our cell membranes, they gently stimulate the epidermis. Skin Script Cacteen Balancing Moisturizer – for Normal/Combo Skin, Sensitive Skin, Dry, Acne. This is great for men to use after shaving. Raspberry Moon is currently carrying the following products and I am hoping to carry more of their line soon. $15.00 each. For every purchase in July, You will receive a free Dolphin Bottle Opener Key Fob! Bait Safe ~ Won’t Kill or Contaminate your bait! All items range from $6 to $8 and we have adorable 6 piece or 2 piece sets with little pirate rubber duckies! These make great baby shower gifts at only $16 for the 2 piece sets or $35 for the 6 piece set! 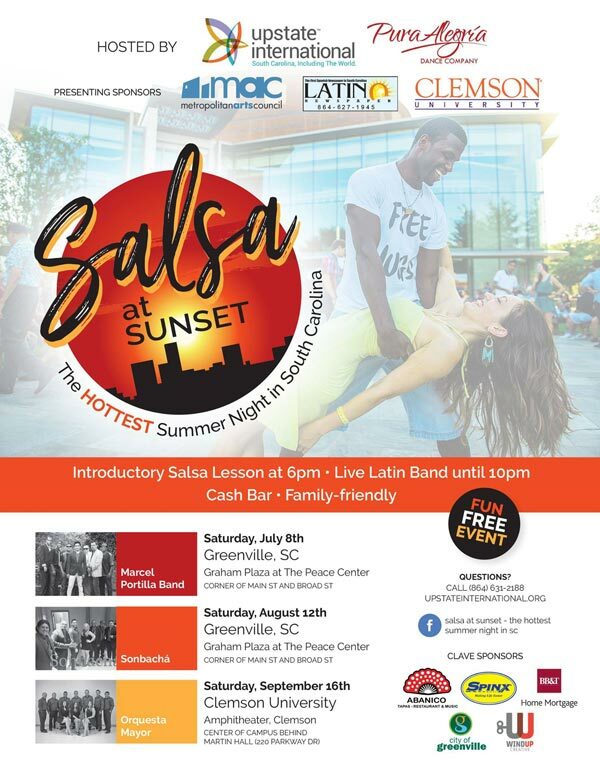 Raspberry Moon is a proud sponsor again this year of the Salsa at Sunset event coordinated by Upstate International. This is a free event open to the public. I unfortunately am missing the July event, but hope to see some of you on August 12! July 31 to August 2 – Mom is here for just a few days to help me work on the house!